Mam makes plastic stuff for babies. Bottles, pacifiers, stuff like that. And I think they’re logo effectively communicates a lot about their brand. Crisp, well-designed, and simple, but still cheerful and soft enough to be a brand for kids. Ergo also makes stuff for babies. Baby carriers to be exact. They’re quite popular. I have one, and it’s a good product. But this sad, homespun logo isn’t helping them any. It’s always odd to me when a brand that prides itself on thoughtful product design utilizes shoddy graphic design. In this case, I’m doubly perplexed that a company that makes baby products—even wholesome, hippy-dippy ones—hasn’t yet realized the importance of growing up. 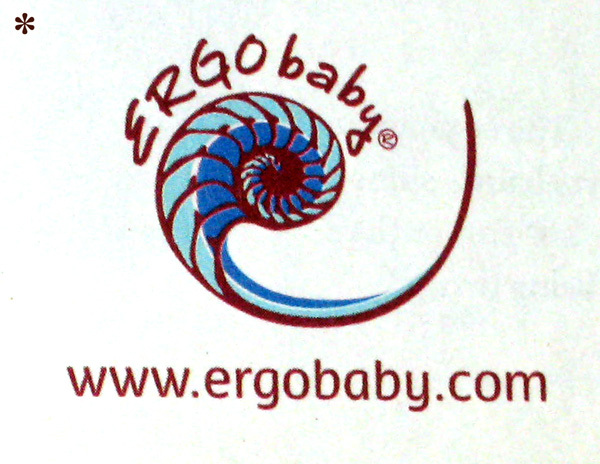 Though I am not fond of either one, the ErgoBbay one makes me think more of something surf or pool related. I honestly did not think, "car seat" when I saw it. As for the MAM one, it looks like something I could see a medical device having on it. If it weren't for the web address below it, one would not know what kind of company they were. In my opinion logos should have a certain appeal to them, but they should also be able to clearly convey what it is that the company sells or does. Kirvi, while I respect the perspective that a logo needs to communicate what a company does, it's a fairly narrow view of identity design. Apple. Target. Nike. All famous, beloved, hard-working logos that say absolutely nothing about the products and services these companies offer. Oh, I agree 100% with you on that, and would be silly not to. I think the MAM logo is a wonderfully designed one to be sure, I just never would have known what it was for had it not been on packaging or had an explanation. Something that Apple, Target and Nike almost always accompany their logos with, by the way. In the end, it is to each his/her own, so long as we respect that we each have our own views on these things.